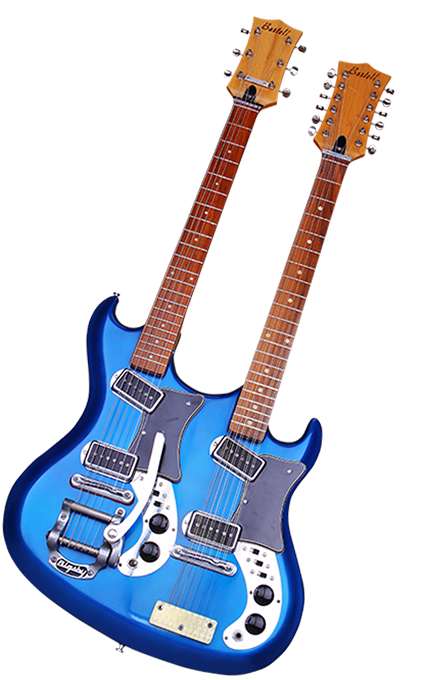 Little is known about this two-headed Ghost Guitar. 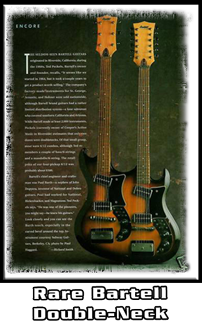 The seldom seen BARTELL Double Neck Guitar originated in Riverside, CA in the mid-'60s. This handmade guitar from legendary Paul Barth is a rare balance between Supreme Tone & Raw Power. The Bartell Company was formed by Paul Barth (engineer) and Ted Peckles (owner & company President). 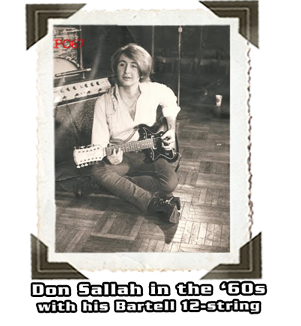 Bartell Guitars were produced from around 1964 to 1969, and former owner Ted Peckles estimates that around 2,000 instruments were produced, mostly 6 string & 12 string models. 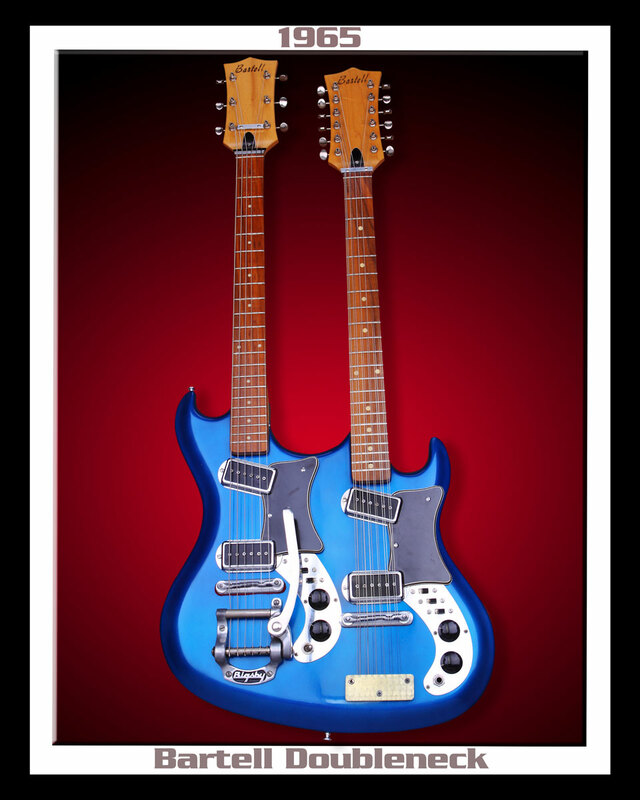 This rare Bartell Double Neck (6/12 string model) was very limited... only a handful (around 6 models) were manufactured as "Special Order" productions. Paul Barth experimented with various wood-types and the effect it had on the tone of an electric guitar. This experiment gave birth to these truly amazing guitars. The Bartell Double Neck needs to be heard to be believed. It sounds like the "GODS" are personally singing to you. Ted Peckles said "Paul Barth was one of the pioneers... he knew his guitars." Listen closely to any Bartell Guitar and you'll hear that Barth-Magic in every note you play.